People who live in oakland's affluent Rockridge neighborhood say they're used to the occasional break-in or robbery, but it's been a number of years since someone has been shot there. 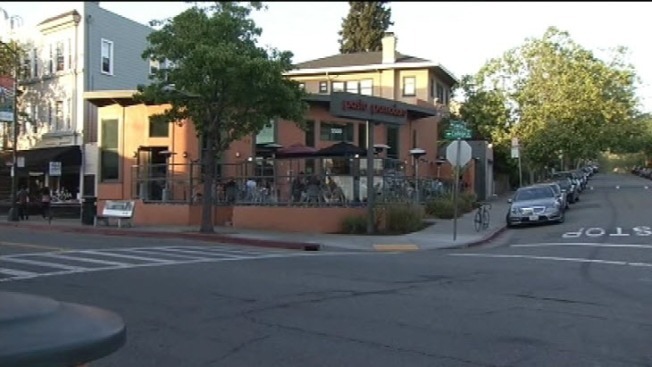 On Saturday about 9:30 p.m., a couple was walking on Manila Avenue after having dinner at the family friendly Pasta Pomodoro restaurant on College Avenue when someone tried to rob them at gunpoint, police said. The gunman shot the man in the shoulder and took off, without any of the couple's belongings, police said. The victim is expected to recover, the gunman is still at large, and a $5,000 reward is being offered for information leading to an arrest. Just because a neighborhood is considered "nice," doesn't mean that it is immune to crime. Kalb lives two blocks from where the shooting occurred and was robbed at gunpoint nearby last fall. The robbers took his wallet and phone. Kalb said he feels it's his duty to do more for the residents of Oakland and his district. "What people want, and they have a right to have, is more police on the streets," he said. "And they have to know that when crime does happen it’s going to be investigated." Frank Castro, who sits on the Rockridge Crime Prevention Council, agrees with Kalb about getting more police officers on the streets. Other typically low-crime neighborhoods are also seeing a spike in crime. In nearby Piedmont, home invasions are on the rise. Some residents want to install surveillance cameras to record every license plate that comes iinto town. The mayor's budget includes funding for additional officers and Kalb said he'd like to see a minimum of 800, up from the current number of 640 officers.